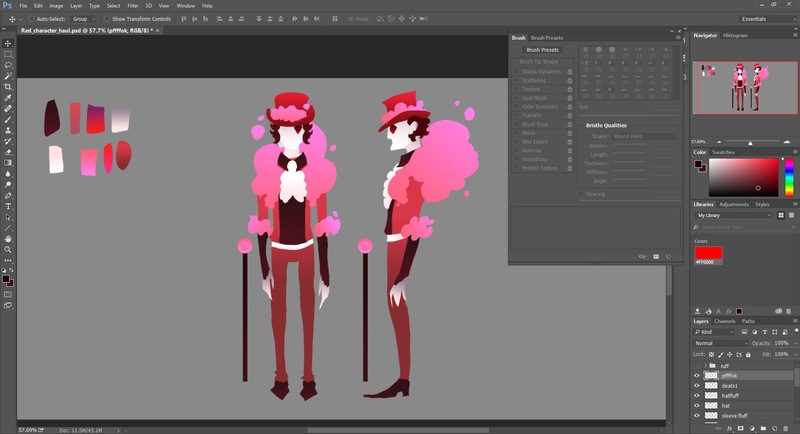 In designing the final versions of each character, I experimented with the Red Barons colour pallet and how he could potentially look. 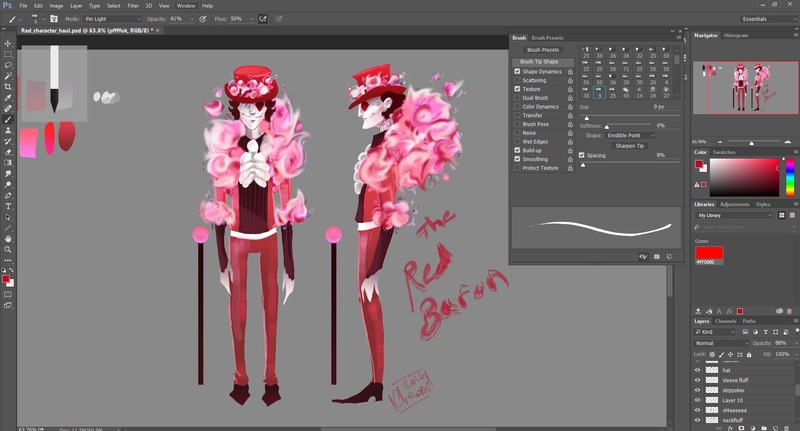 The base sketch is the rough composition based on the Baron designs in the previous post. 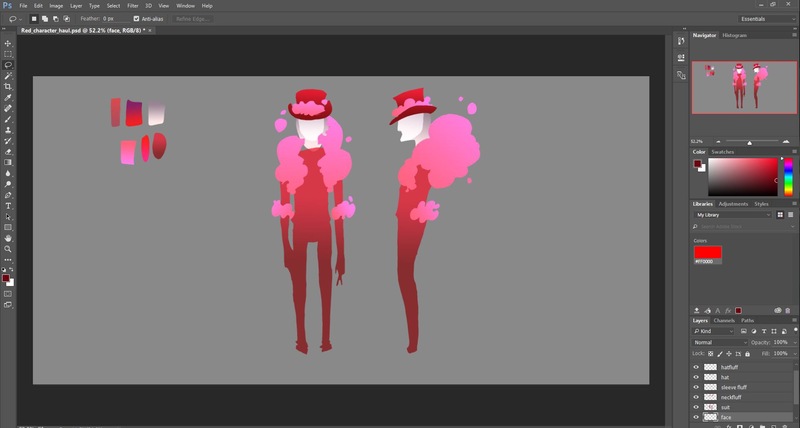 Instead of inking the line art I blocked out the base layers of each colour with a gradient. Then blocked out the accessories in the same way. The real challenge was building the detail. I wasn’t sure exactly what brushes I would be using to create a sweet illustrative style. However, this took far longer than anticipated due to the process being almost entirely trial and error. 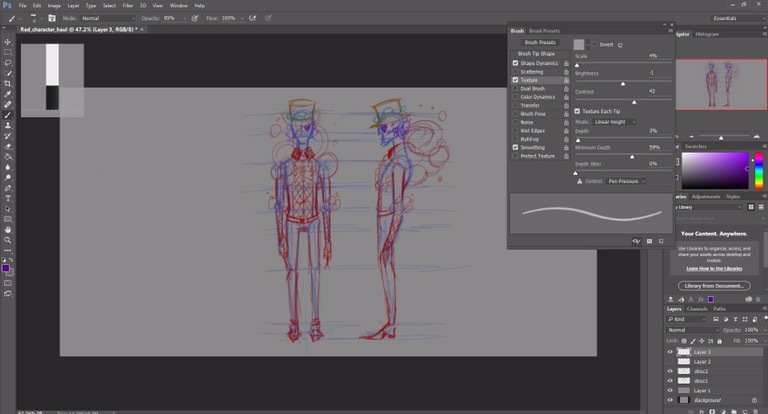 I won’t be doing this for each character but I learned some valuable new techniques and useful brushes for future use.